The most noteworthy occupation in addition to flexible work hours occupation is Certified Phlebotomy Technician (CPT) in the New Jersey. Since Certified Phlebotomy Technician (CPT) is a very valuable member of the healthcare team, and therefore salary consequently are higher. Param Institute of Education is known especially for relevant and the highest quality education. In addition, Param Institute of Education helps in placement. Hence, join our Certified Phlebotomy Technician (CPT) Program and open the great doors into the Healthcare Industry with job stability. Contact for course details just today and secure your admission. Q: What is Certified Phlebotomy Technician Program? Certified Phlebotomy Technician (CPT) program trains an individual to become a phlebotomist. 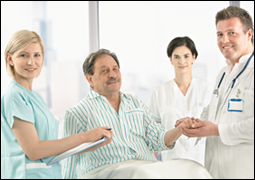 While a phlebotomist is an important member of the healthcare team works consequently in a hospital setup or nursing home. Phlebotomy technician obtains blood specimens by venipuncture and skin puncture. 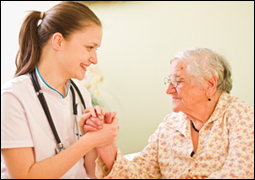 Phlebotomists work closely with patients and other healthcare professionals. 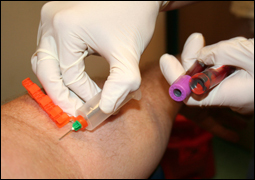 Phlebotomists perform venipunctures, and the point of care testing, in addition to specimen processing. Q: Where do Phlebotomist work? The phlebotomist works either in private laboratory or probably in doctors’ office laboratory. Most of all phlebotomist works in the hospital laboratory, emergency rooms, and donor collection centers. Q: What is the admission process for your Phlebotomy training program? Most of all other vocational-technical programs cost higher than the total cost of the Phlebotomy program. Contact our Admission Coordinator for details. Q: Does this Program run in the day or evening hours? This program runs in both during the day and in the evening hours. Q: What is the duration of Phlebotomy education program? The Certified Phlebotomy Technician program at Param Institute of Education (PIE) could be completed in almost 4 weeks. Since the program contains a total of 100 hours of training which consists of 45 hours of classroom training and 55 hours of Lab training. Q: What Certification exams am I eligible to take upon completion of this program? After completion of phlebotomy education program, you will be eligible to take the certification exam from the National Healthcareer Association (NHA). Q: Where are different places where a Phlebotomists can work after graduation? Q: Are there Jobs available for me in the field of Phlebotomy?